If there is one thing China is known for, making cheaper variations of popular products. While we’re used to seeing it with all sorts of low end gear, Kinefinity has taken it to a new level with their KineRAW S35 camera. 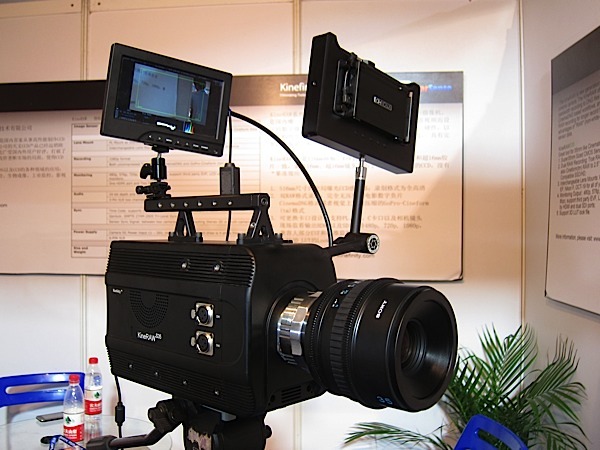 This camera is able to shoot 2K 12 bit images to either CinemaDNG or Cineform RAW on removable SSD drives. Lens mounting options include PL, Nikon and Canon. No test footage has been shown yet, but you can see a hands on video on DSLR News Shooter. China please give us a cheap 4K camera.Red has turned out to be a rip off.Apart from the long wait the selling of the camera in bits and pieces is not only a burden is amounts to paying 1000 times more than what they advertised. I’m very excited by this camera offering … keeping in mind to never buy the first one on the market. I’ve been burned before by purchasing a new model by the top makers only to find major flaws on the first run. The company that makes this camera has a history of making scientific telescopes and that’s a good sign. Wait and see!